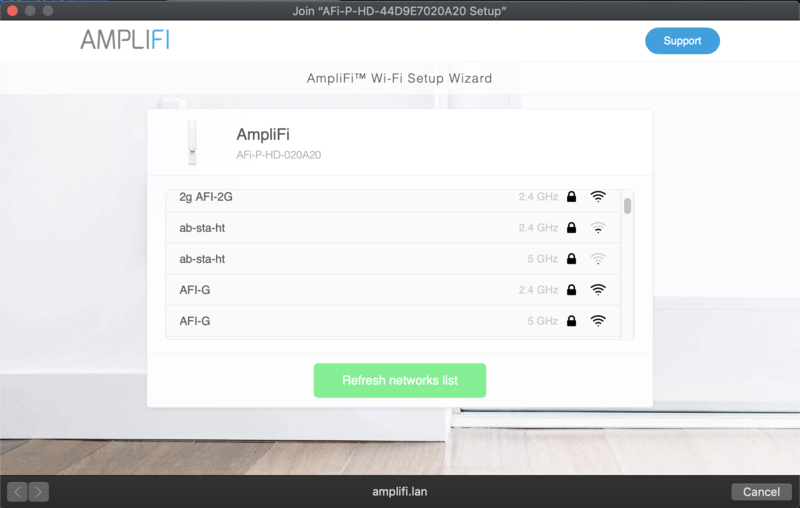 AmpliFi's web interface can be used on MacOS and Windows to perform initial configuration of the network and manage advanced options. 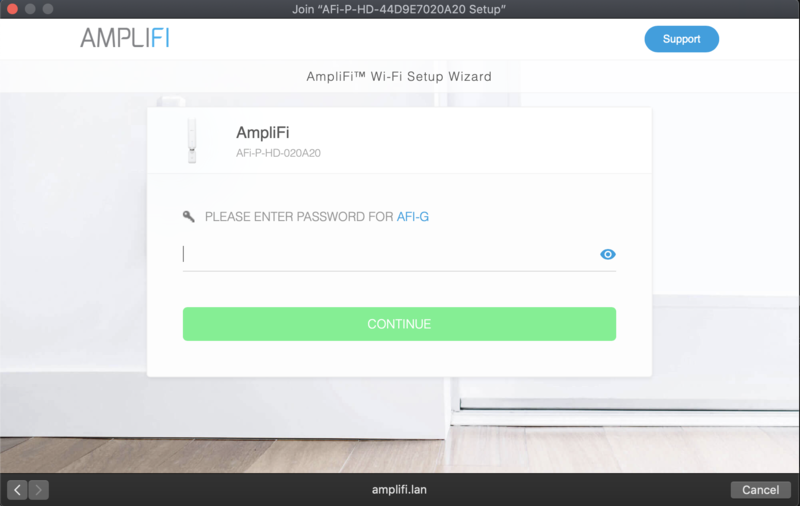 See how to perform initial setup on the web interface in the AmpliFi User Guide, Chapter 4: Installing Without the App. 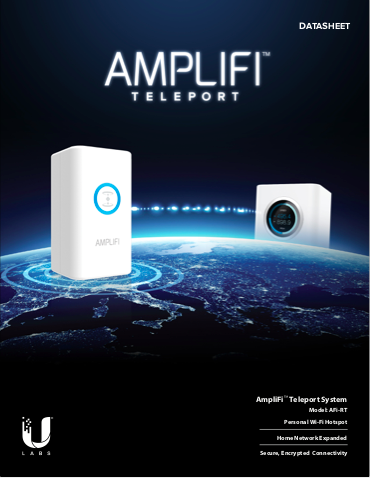 The AmpliFi Router is meant to be managed from a smart phone or tablet. 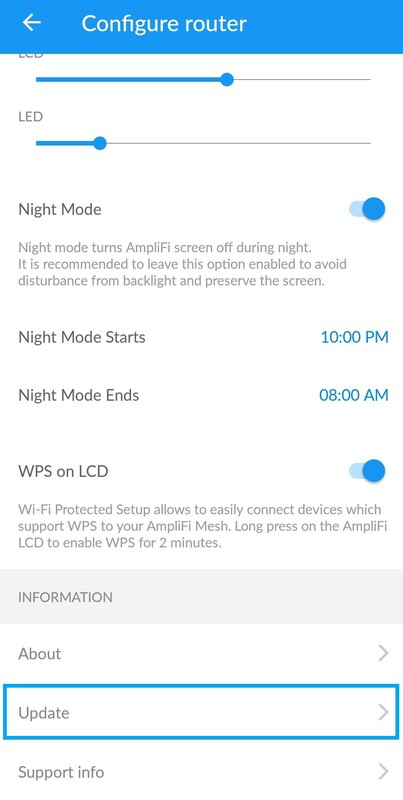 Before proceeding to follow these instructions, please verify that your AmpliFi system is running the latest firmware and the mobile app is running the latest software. Note It is recommended to always upgrade to the newest release available. 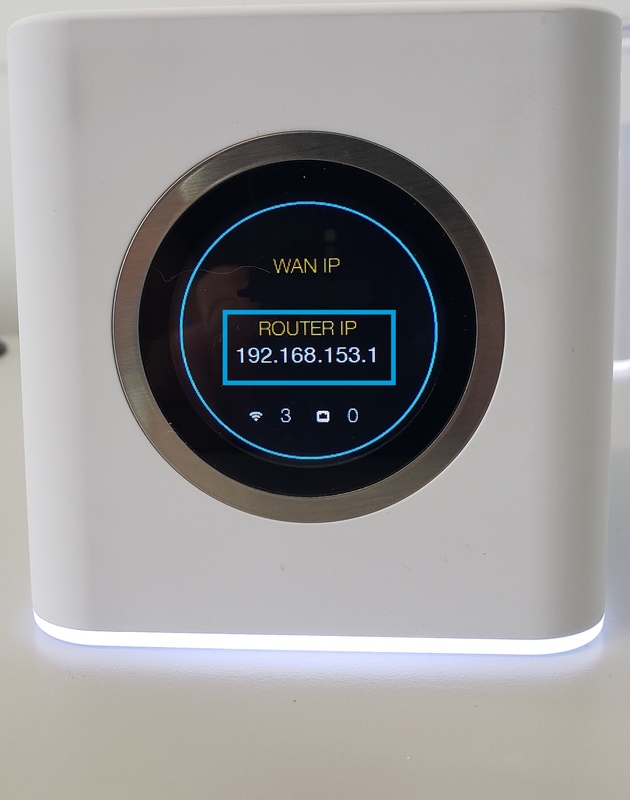 In the case of IPv6 configuration, it is necessary to be using as a minimum the following versions: AmpliFi router firmware v2.2.0 or later, iOS and Android App v1.6.0 or later. Please follow these steps to locate and enable IPv6. 1. 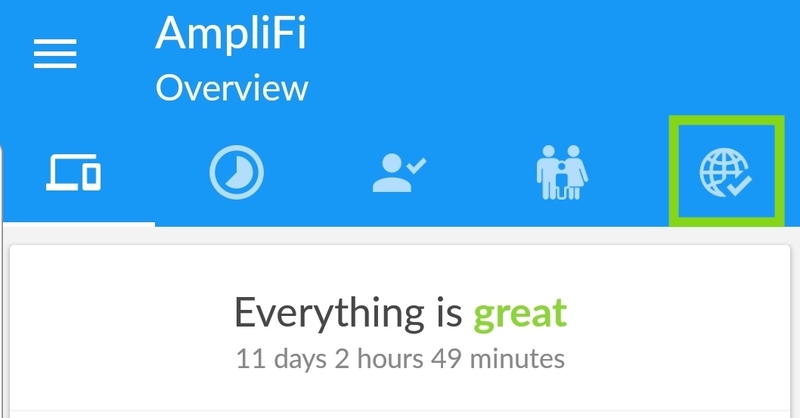 Open your AmpliFi smartphone app. 2. Tap the image of the router to open the router's settings. 4. Scroll down to "IPv6" and toggle this On. Once it is enabled it will be blue and have a drop down menu for further configuration. 5. Verify corresponding Network Type. DHCPv6: This mode should be used in most cases. It requires native IPv6 connectivity from your Internet Service Provider (ISP). The "Client ID" field is used with the DHCPv6 protocol, but this is not a required field. If you need a Client ID, please contact your ISP in order to receive an IPv6 address. 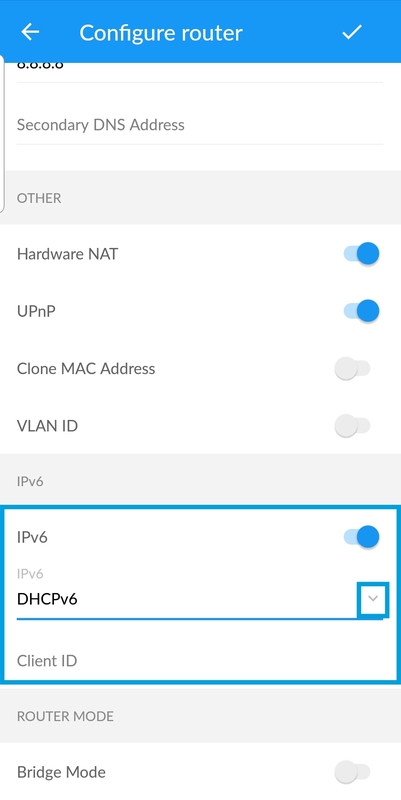 6to4: This mode can be used when your ISP does not provide native IPv6 connectivity. 6. Tap the check mark on the top right corner to save your settings. If you encounter issues after following this guide, please see our Troubleshooting article. 3. Under Settings, select the Internet subsection. 4. Scroll down to the "Other" subsection and toggle the Hardware NAT to the On position. 5. Once enabled, tap the check mark found in the top, right corner of the page to save your settings. 6. The router will perform a very quick reboot and Hardware NAT should now be enabled. 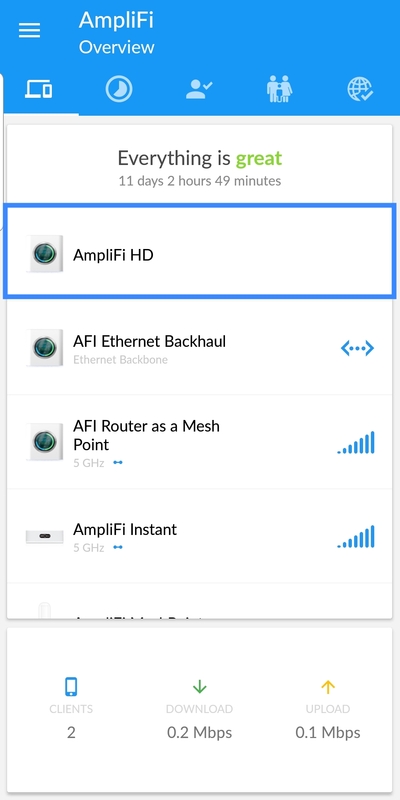 If you wish to verify, launch the AmpliFi again and make your way to the Internet settings to verify Hardware NAT is on (enabled features will have blue toggles with the circle switch to the right). 2. Select the image of the router to open its settings. 3. Select "Internet" from the Settings menu. 4. Under Internet Settings, locate "Primary DNS" and "Secondary DNS". 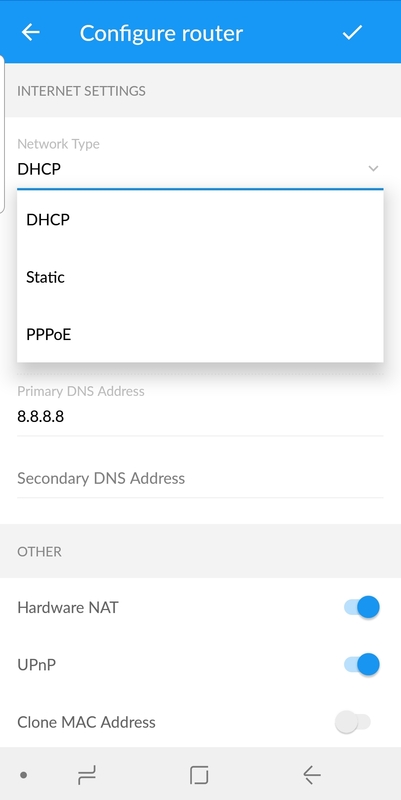 Tap on the DNS field(s) to change the DNS to the desired addresses. 5. Tap the check mark in the upper right corner of the screen to save these changes. 3. Select DHCP Server under the advanced subhead. 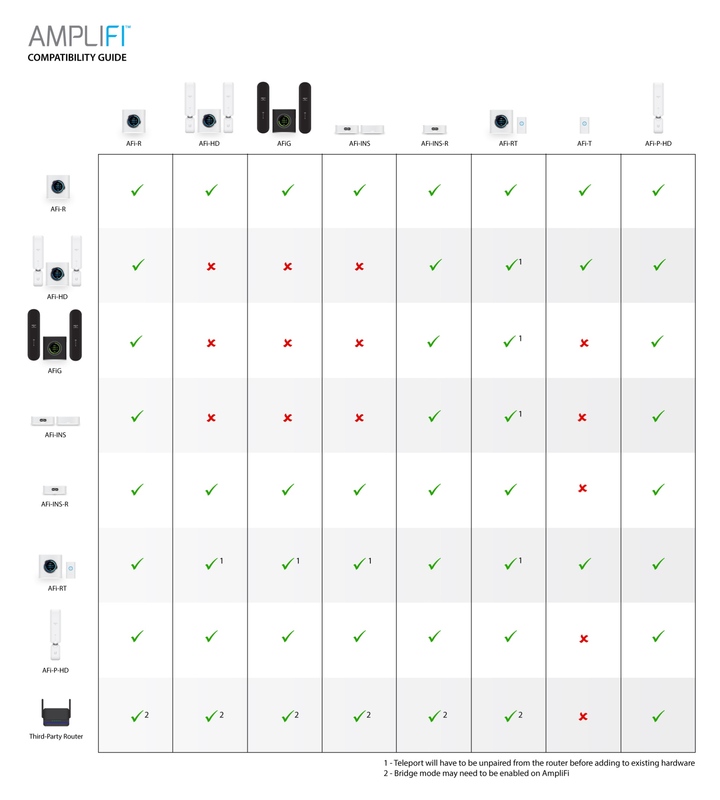 Range: Select the IP address range to use. Start: Enter the starting IP address of the available range. End: Enter the ending IP address of the available range. Lease Validity: Select the duration of time for which IP addresses are valid. 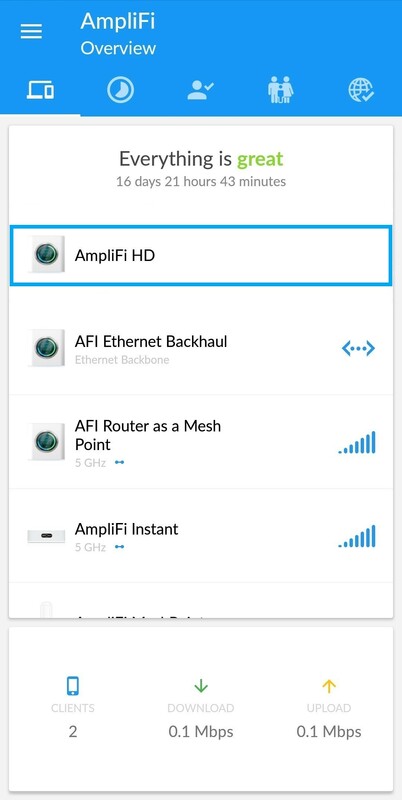 Static Leases: Through DHCP, AmpliFi assigns IP addresses automatically. For certain devices, it can be advantageous for your to assign a static IP address keeping each device on a specific IP address. See this article to learn how to assign static leases. 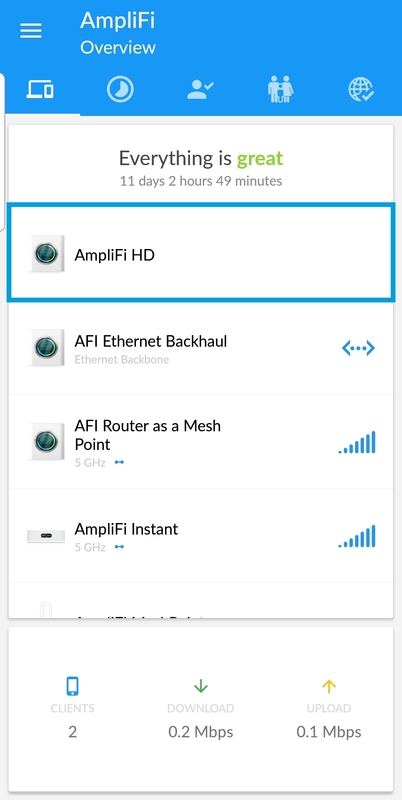 In the event a device cannot see or connect to the AmpliFi network please follow these steps to identify and resolve the issue. 1. 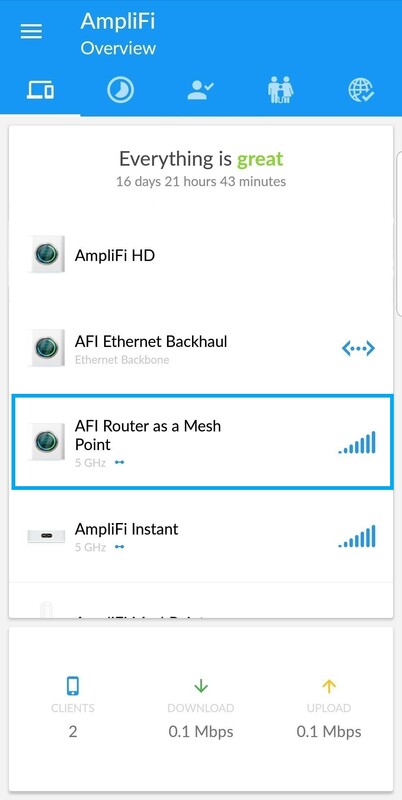 Place the device within one foot of the AmpliFi router and attempt connection. 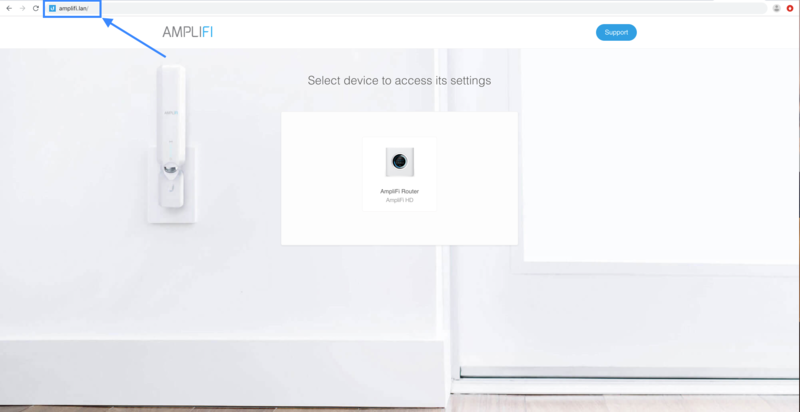 If the device connects to the wireless network and then loses signal as the device is moved away from the AmpliFi router, you my have an interference issue. For help identifying interference please see this article. 2. 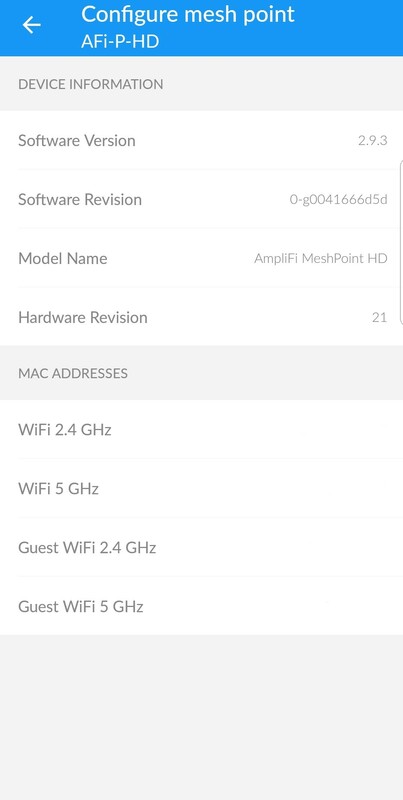 Verify if there are any devices currently connected to the AmpliFi network. 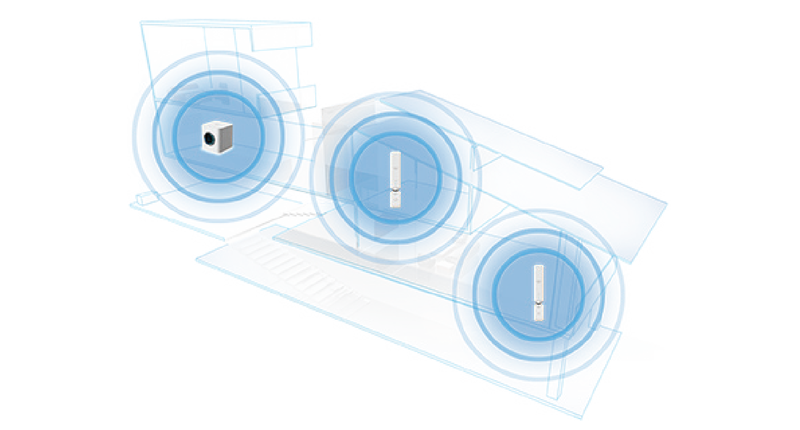 In the event a device is connected but other devices cannot see the network, the SSID may be hidden. Manually type in the wireless information via the device to join the network. Or unhide the SSID, as described in this article. 3. If step 1 and 2 did not resolve the issue, perform a factory reset and complete the set up process. Click here for steps to perform a reset. 4. 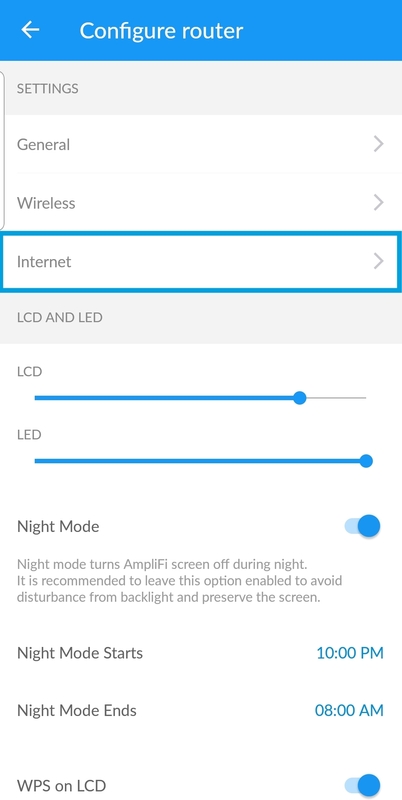 If after performing a factory reset, the device still cannot see the AmpliFi network or connect to it, please contact our support team and let them know you have followed this article but the issue persists. In the event that the AmpliFi router displays a "Adapter error" on the LCD screen please perform the following steps. 1. Make sure the adapter is fully plugged in to the USB C port. 2. Try unplugging the adapter from power and plugging it back in. 3. Fully unplug the USB C end from the AmpliFi and plug it back in. 4. Try using a different outlet. 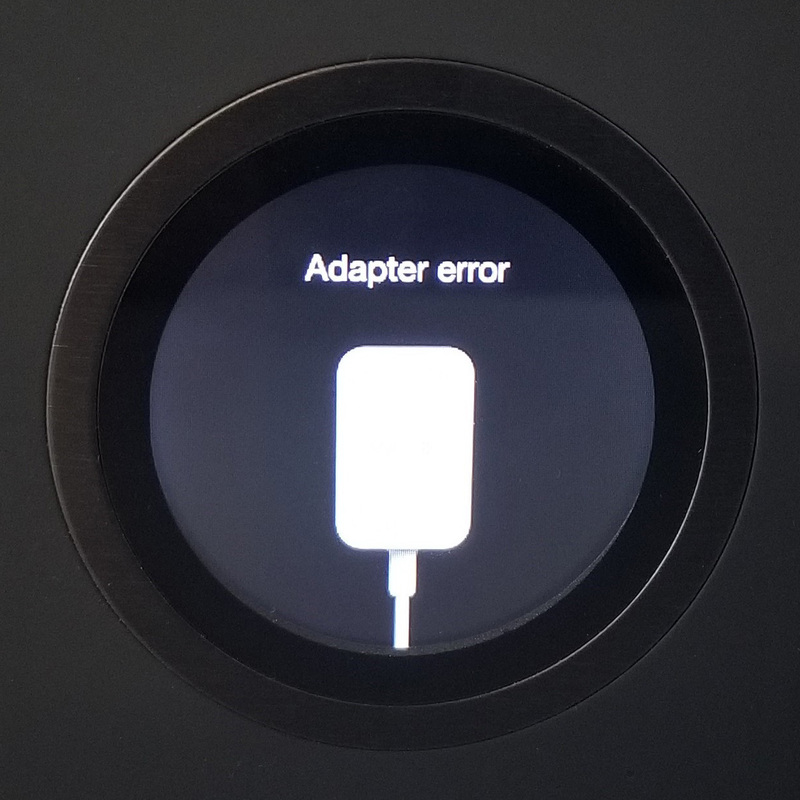 If the AmpliFi router still displays the "Adapter error" message, the adapter might have been compromised. 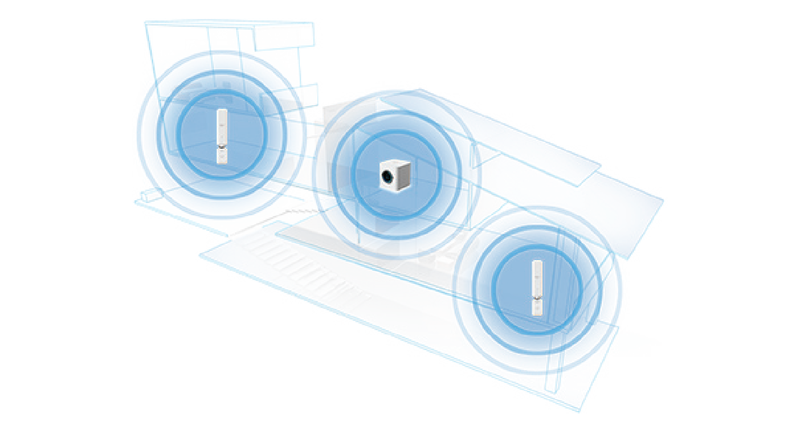 Please visit the AmpliFi store for replacement options. Please note that currently the only adapter model which is sold separately is the USB C model. Ensure that your ISP provides IPv6 addresses and that you can receive them. Contacting the ISP may be necessary to get this information. If there is an IPv6 address error, connect a computer directly to the ISP modem and see if it can get an IPv6 address. It may be necessary to unplug your router from the modem to connect the computer to the modem. There are 3rd party websites that will run IPv6 tests. IPv6 may not be provided as the native protocol and the IPv6 option may need to be configured from DHCPv6 to 6to4. For instructions on how to do this see this article. 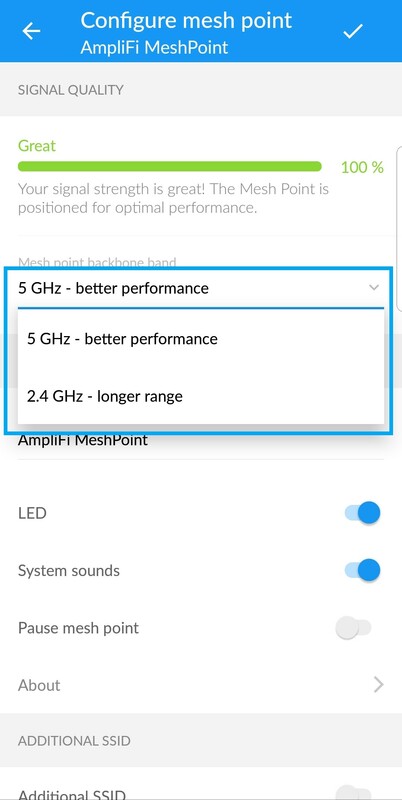 If after contacting the AmpliFi support team to attempt resolve the issue with your hardware, it has been diagnosed as having a hardware related issue, please go to the Return Merchandise Authorization (RMA) form and fill it out completely. On newer models you can scan the QR code on the devices using the camera of your smartphone or table to see the MAC ID. Device MAC ID Addresses can also be found on the product box, or on stickers on the devices themselves, when they do not have the QR code available. The form will have a drop down with the model names for each product. Your devices packaging will have the model name, or you can search for the correct model in the device's Quick Start Guide. The RMA process time frame can vary depending on processing and shipping. Please allow 5-7 business days for this process to finalize. To get information on the RMA process please feel free to email the RMA team for updates regarding your replacement here: rma@ui.com.